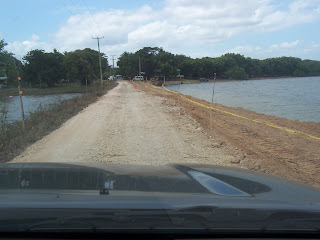 The upgrading of the Crooked Tree Village causeway is underway by the Ministry of Works. 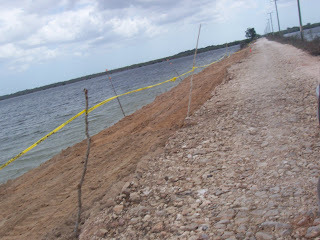 The civil works in this first phase consist of widening and elevating the causeway from the village to the first bridge. The main objective is to have a two lane, all weather road all the way to the Northern Highway. 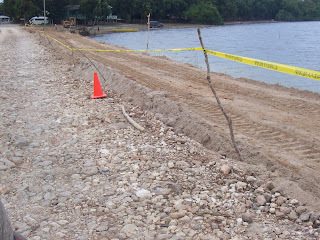 After this first phase, additional funds will be allocated in the budget for the new fiscal year starting April 1, 2009. 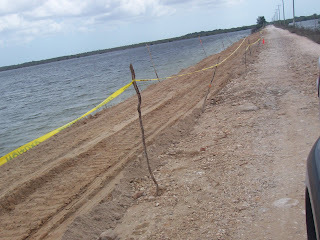 Here you can follow the progress of the new road on both sides of the causeway. Eventually, the width of the causeway will be 30 feet. Hi Linda, very good update. Much appreciated! Hi Linda, Keep up the good job on your blog and the Crooked Tree Village Reunion site those pictures bring back beautiful memories. I love my little village very much, it reminds us that we can all get together have fun and at the same time love one another; Peace & Love!!! I am so happy to have you as a well appreciated informant on the progress and all the happenings of our beautiful Crooked Tree. 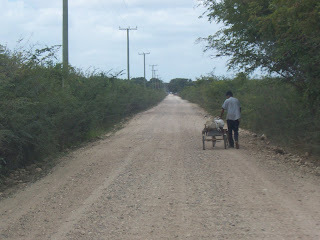 I was in Belize couple weeks ago and the road was so bumpy and full of holes, it was a mess, I am so happy to see the work they are doing right now. I wish they would pave it someday sooner than later. Have a great day and I love your blogs. Thanks Jo Jo and all, the chief engineer of the Ministry of Works told me that with this upgrade, we should not have anymore holes and bumps. We shall see when the rains come down! !